I read next to nothing in the beginning of the week. I fell down the rabbit hole of documentaries on Netflix. Want to know something about The Civil War, Prohibition, or The Dust Bowl perhaps? I'm your gal! 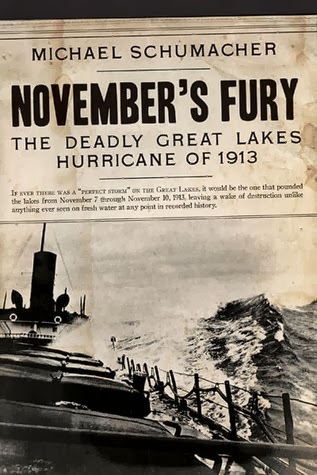 In times between hanging out with Ken Burns I did manage to read around half of November's Fury by Michael Shumacher. I hope to finish that up this week! 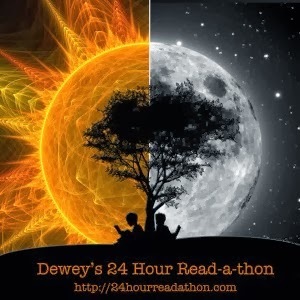 The 24 Hour Read-a-Thon was an absolute blast! You can see all the gif-tastic details here. I usually get my weekly wrap-up posts up on Sundays. Not this week! I was exhausted yesterday. The read-a-thon will do that to a person. Have a great week everyone! And as always, happy reading. Hoo boy, I'm a Netflix documentary addict, too. I JUST noticed that the Salinger doc is already up! I need to watch it. Have you watched Dear Zachary? I'm warning you, it's a heartbreaker, but so incredible. I'm SO excited for you to read Lookaway, Lookaway! Just seeing that cover gets me all giggly. I haven't seen Dear Zachary, I'll look that up ASAP. I've been watching so much good stuff lately, wheee! I'm a huge Ken Burns fan! Have you seen Baseball? I'm not much of a baseball fan, but it was fascinating. The National Parks one and the Lewis & Clark are really good, too. And Jazz. Oh, heck, they're all good. I'm impressed by how many books you read during the readathon. You must have stayed up nearly the entire 24 hours! I really want to watch them ALL! Oooh, I didn't know he did a Lewis & Clark! Thanks for the tip! This made me smile because my husband spent the past month watching all of those Ken Burns documentaries too! I think he's starting the National Parks one next. I usually read while he watches Netflix, but maybe I should join in and watch a bit too. You DID great during the readathon. That's an awesome amount of books you've read. That is awesome! I felt like I was able to get a lot read during the readathon this year as well. I love Number the Stars, as well as the new Boxers & Saints graphic novels - sooo good! Boxers & Saints..sigh, so good! I'm definitely going to read more of his! (American Born Chinese must be next!) Thanks for visiting Kristen! Ooooh was Mary Poppins as wonderful as I imagine it to be? Will you be reviewing it? I can't wait to hear! YES! It was probably even more wonderful than you imagine. Such a great tale!! Netflix is so much trouble, isn't it? Enjoy being back at the library!! Ohh maan I remember reading Mary Poppins back in the day :) I'm glad readathon was successful for you! Thanks! I was so glad to finally read Mary P, it was delightful! You read a lot for the readathon! Yay you! Wow! You read a LOT of books during the Readathon! GO YOU!!! I love that you read Boxers and Saints by Gene Luen Yang and The Suicide Shop by Jean Teule. They are so good! Can't wait to read your thoughts on them! I keep the books on the very short side so I can knock it out of the park that day ;) I'm going to have to do mini-reviews of my readathon books. I need to read some of my own shelves! Good job feeling better about reading yours! I've been such a good girl Rebecca :) I've stayed away from the bookstores and the library for a LONG time so that I could concentrate on my shelves and review copies. It worked! I think you picked the perfect books for your readathon reading. 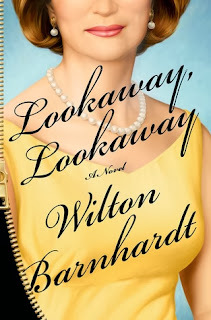 Lookaway, Lookaway is high on my TBR list. Nom nom nom! :D I can't help myself! I'll take that compliment ;) NERDS UNITE! I love me some documentaries :) I feel like a sponge, soaking up all that good info! I'm surprised that you had time to get any reading in that day, you were a busy bee! What we need are more hours in a day. Figure that out science! You have to luv Mary Poppins. I need to go and look around at Netflix.